Home » News » PRATHMIK SCHOOL NA HTAT AACHARYO A 18 TAS FARJIYAT LEVANA RAHESHE:- NEWS REPORT. 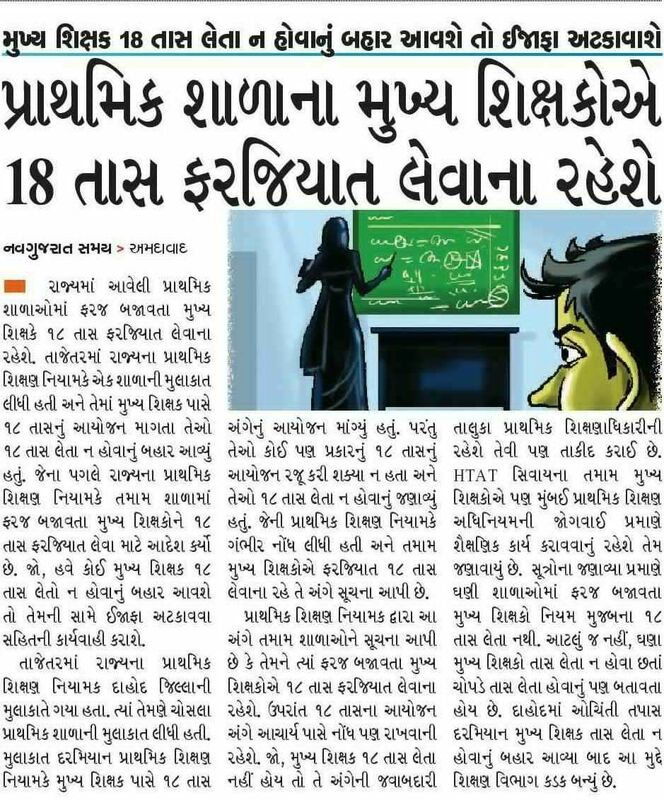 PRATHMIK SCHOOL NA HTAT AACHARYO A 18 TAS FARJIYAT LEVANA RAHESHE:- NEWS REPORT. 18 TAS NA LENAR AACHARYO NA IJAFA ATKAVASHE. Welcome To Our swiftnews Website Named Educational Point. We Provide Educational, Jobs, General Knowledge, And Daily Hindi News. In Gujarat We Also Provide Daily Current Affairs For All Competition Exams. We Also Provide News About Mobile, Technology, Games, Bollywood Movies And News, Download English Grammar Learning, Teacher News, Ccc, Computer, Insurance Policies , Gujarati Grammar, Hindi Grammar, Exam Papers, Model Papers And Competition Exam Paper.